This morning I was contributing to a thread in the German Genealogy facebook group; a researcher had asked for help in figuring out the German equivalent of the surname Workman. One of the most useful sites I've found for investigating German surnames is Christoph Stoepel's "Geogen" sites. 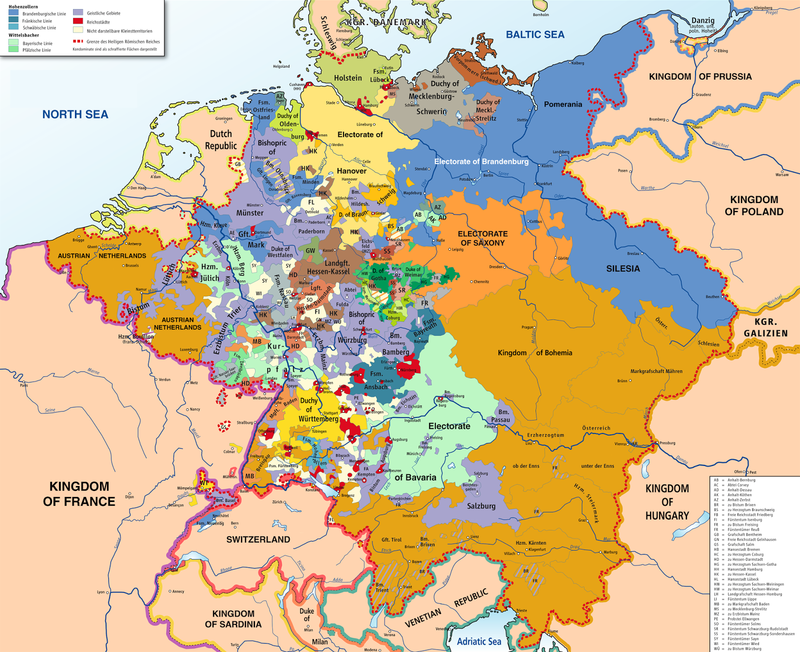 "Geogen" stands for "genealogical geography," and his site will help you locate possible points of origin for your German ancestors. When you put in a name, a map will show you where your family name is found today; the information is current rather than historical but still very useful, since German families tend to be a lot less mobile over the years than are families in the United States. 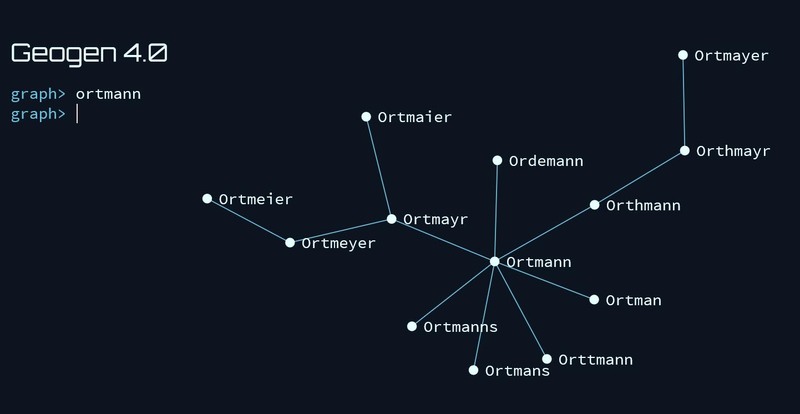 A caveat, though: if your ancestor's name is Schmidt or Meyer, you'll have a much harder time getting a lead because those names are so common. The less common the name is, the more luck you're likely to have. Also, the site is most helpful if your family came from what was West Germany post WWII to 1989, and no help if your family came from historical parts of Germany that are now Poland, the Czech Republic, and so on. 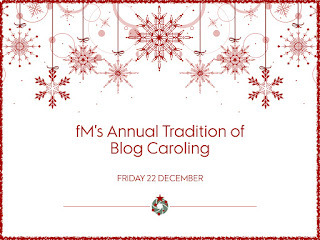 I'll give you a couple of examples from my own family. Herr Stoepel offers two versions of the site -- a toned-down original version and a jazzed-up space-age version (my favorite). Let's look at my father's grandmother's maiden name: Schwietering. 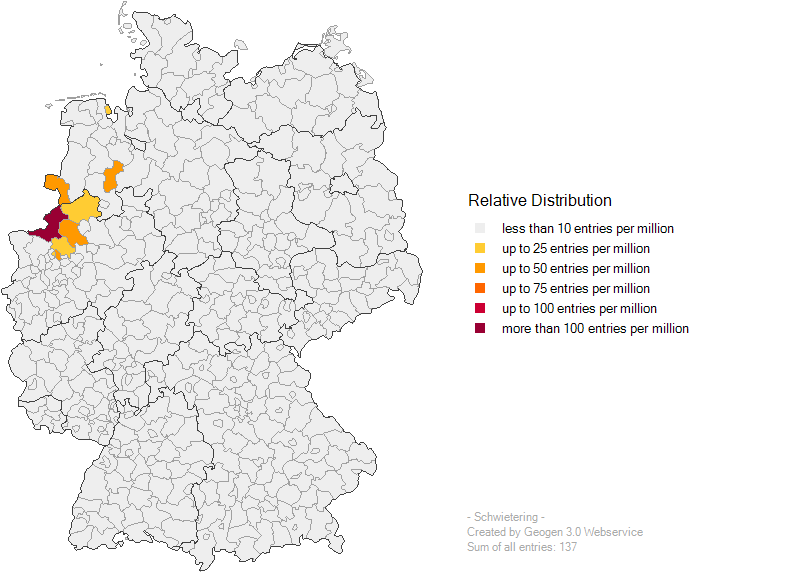 This map shows the relative distribution (x number per million) across Germany of the uncommon name of Schwietering. 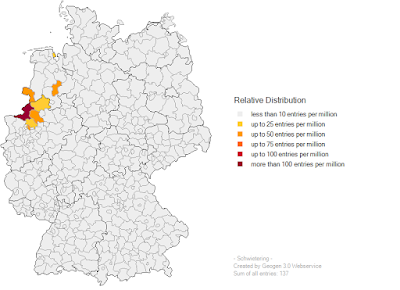 A note on the results says, "Considering the population density the most Schwieterings can be found in Landkreis Borken (NW), namely 117 phonebook entries per million people." If I did not already know where the Schwietering branch of my family originated, this would be a major breakthrough, because in fact, my great-grandmother was born in Nienborg, Landkreis Borken, Nordrhein Westfalen. This map would have pinpointed it exactly for me. This map shows the same information in a different form, with the addition that I can see exactly how many Schwieterings are in the telephone book in Landkreis Borken today: 44. So now I have a clue as to how many people I'd need to contact to see if we're related! 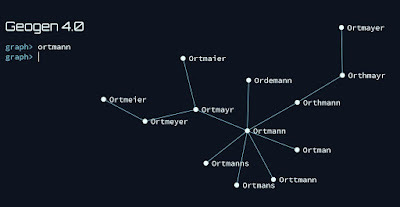 And there I have all the possible variations of the name Ortmann, valuable information indeed. If you haven't used Herr Stoepel's site, give it a whirl. If you're stuck on the origin of a particular German branch of your family, you may strike gold. When you try the site, leave me a comment about how it worked for you! Thank-you for this; I am always open to new resources! You're more than welcome - it's such a useful site. To-Do Tuesday: What's on Your List?